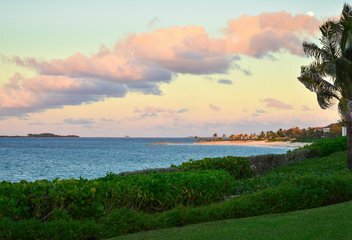 Named by Forbes Magazine as “The Most Exclusive Resort in the Bahamas,” Albany is quickly becoming one of the most desirable and affluent complexes on the island of New Providence. 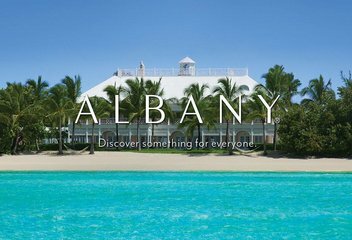 The Albany real estate market is composed of expansive, oceanfront homes and luxury condos. The 600-acre grounds feature an unparalleled combination of sporting amenities, services, community facilities, incredible natural vistas, and the many pleasures of island life. 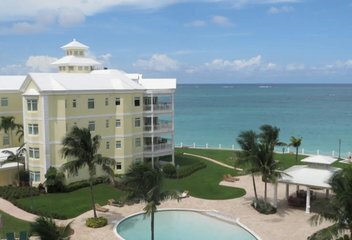 Located on the north shore of New Providence in the capital city of Nassau, Bayroc is one of the finest oceanfront condos in the area. Residents of Bayroc enjoy a premier location within the city. 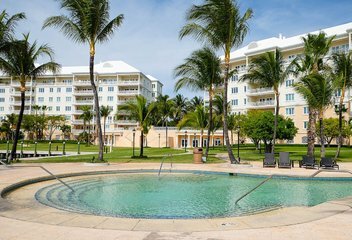 They are across the street from numerous amenities on West Bay Street, steps from the popular Cable Beach, and adjacent to Baha Mar Casino. For buyers who are interested in investing in an impressive waterrfont condo, Bayroc real estate is sure to please. 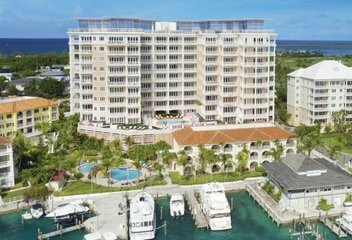 Located on West Bay Street within a secure gated community Caves Heights offers 84 residences with world-class amenities. These well positioned residences overlook a powder white beach and the clear blue ocean for a true island living experience. Some amenities include two swimming pools, including a heated lap pool and family fun pool, well equipped fitness center, lit hard surface tennis courts, bbq area for gatherings, 24 hour security, air conditioned storage and full back up generator. Located in Western New Providence, Charlotteville is a secure gated community with a combination of 257 single family lots, 80 town homes known as “Turnberry” and an array of resort-style amenities including a community clubhouse, swimming pools, tennis courts, volley ball court & playgrounds. 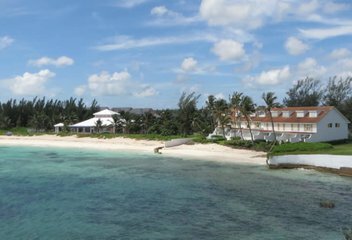 The community is about 10 minutes from “The Bahamian Riviera, Bahamar” and 5 minutes to the International Airport. Shopping and schools are nearby. 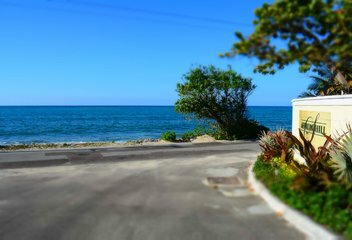 Just minutes outside of Cable Beach this ocean front gated community offers easy access to hotels, restaurants and shopping. This community offers two types of housing which include multi-level town homes and high rise apartments. This well-kept community offers onsite security, regular property maintenance, swimming pools and relaxing beach. High Point Estates is a elevated community off of JFK Drive only minutes from Cable Beach, the International Airport and Downtown.This community offers a gated entrance, security, tennis courts and a children's playground. 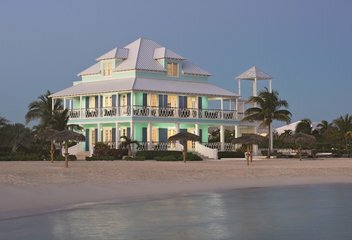 Developed in the 1950’s, Lyford Cay sets the standard for gated communities in the Bahamas. 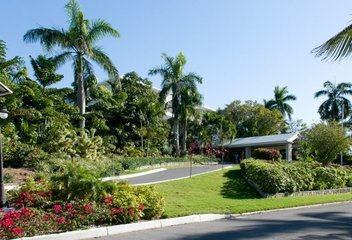 It is a magnificent private residential neighbourhood located on the most western tip of New Providence. It boasts over 300 beautifully landscaped properties within a 1000-acre gated community and includes the world-renowned Lyford Cay Club. Residents and members enjoy a championship golf course, twelve tennis courts, a full service marina, private school and world-class cuisine. Ocean Club Estates is located on Paradise Island. The community, designed by Atlantis’ chairman Sol Kerzner, offers the most complete amenities of any resort destination in the Caribbean. The 300-acre site comprises 122 homesites, a world championship golf course designed by Tom Weiskopf and the clubhouse. Owners in the community enjoy the benefits of the One & Only Ocean Club Resort and the Atlantis hotel. 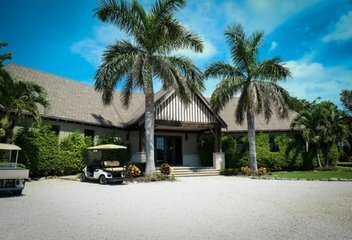 Perhaps the most unique Bahamas real estate opportunity. 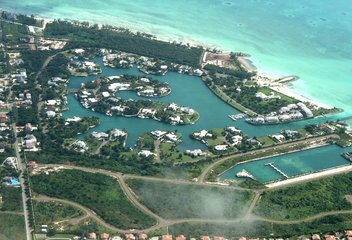 Just east of Lyford Cay and only minutes from the international airport, Old Fort Bay is a gated waterfront community offering sophisticated Bahamian island living. The community clubhouse is the signature feature providing fine dining and numerous other activities to its members. 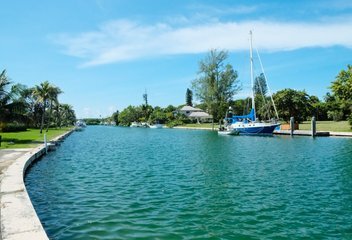 This planned community offers a relaxing beach, marina, canal systems and parks. Ideally located between Atlantis and Ocean Club Estates, One Ocean Bahamas is situated on Nassau Harbour boasting of harbour and ocean views as it is the tallest residential building on Paradise Island. Tucked away on the eastern side of New Providence is a one of a kind family-oriented community with rich island flair. This community offers more than 300 designed residences including single family homes, ocean front townhomes and marina cottages and town homes. 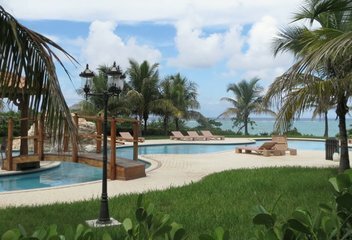 Palm Cay Club offers a refreshing atmosphere for social gatherings, pool lounging and for those lazy afternoons the sunsets are phenomenal. 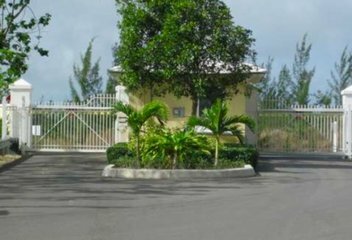 Port New Providence is a luxury gated community located in the eastern end of New Providence and is attractive to boaters due to its close proximity to The Exumas and docks on your doorstep. Residences of this exclusive community enjoy the beach, canal, marina, clubhouse, children's playground, tennis courts, tastefully landscaped grounds including a duck pond and 24hr security. 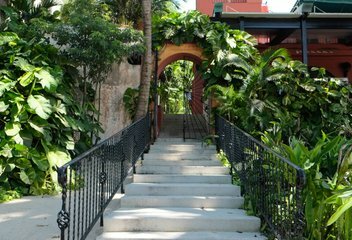 Saffron Hill is a private gated community located on West Bay Street right across from the beach. Community amenities available to residents are: community pool, tennis courts, club house and children's swimming pool. 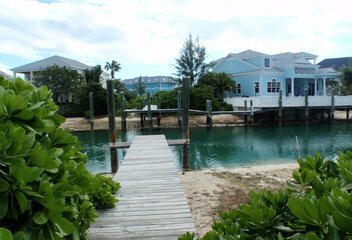 This private gated community is conveniently located between Bahamar and Downtown Bay Street. The Balmoral offers residents a secure living environment with club membership that includes tennis courts, pool, and clubhouse. The Balmoral consists of over 100 townhomes and 70 single family home sites. 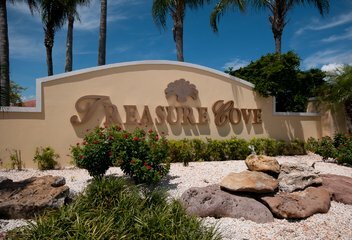 Treasure Cove, a gated oceanfront community with 282 home sites, is located on the southeastern area of New Providence, Bahamas. This community is a family oriented neighborhood offering beach frontage, secure family atmosphere, large park & playground, and close proximity to schools and shops.